Back in early September I was in North-West Wales enjoying a late burst of summer warmth in the shadows of Snowdonia. Walking some of the lanes I was struck by the number of Goldenrod (Solidago virgaurea) plants and how unfamiliarly small some of them seemed. I have since learnt that this species is very variable and can appear in dwarf-like forms (Stace, 2010). 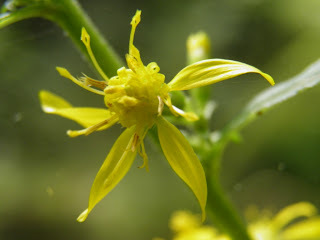 More recently I came across the bright yellow burst of this late flowering plant nearer home on the side of a Devon stream (see image). 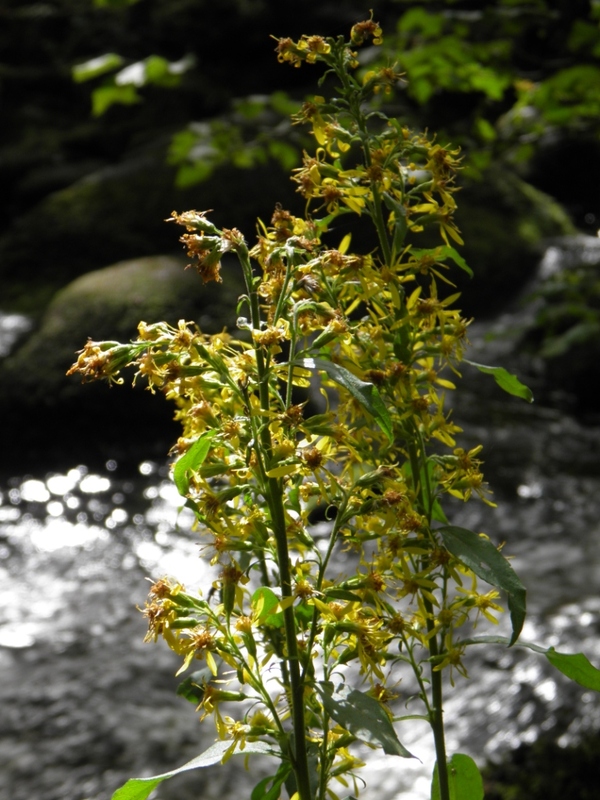 The genus name, Solidago is derived from the Latin meaning to ‘make whole’ and Goldenrod has certainly a long history of traditional medicinal use, particularly as a diuretic and urological disease. Hawes (2010) suggests harvesting the whole flowering plant and dry for use with herbal infusions for urinary problems with regular doses helping to reduce the risk of kidney stones. Other suggested uses included a hot dose to treat runny nose symptoms of colds and a tincture for catarrh and hayfever. More contemporary studies by scientists have shown some anti-cancer potential of Goldenrod (Gross, et al., 2002). I do wonder at the contrast of traditional and modern medicine and how different health benefits have been discovered over the ages. How did people learn to test different plants for the varying ailments as they evolved in their communities? Was it simply trial and error or did they have better developed intuition that they learnt to trust. In the meantime the Goldenrod plants are now slowly being absorbed back into the autumnal earth to hide their powerful secrets until next spring. Hawes, Z (2010) Wild Drugs – a forager’s guide to healing plants. London: Octopus Publishing Group Ltd.
Stace, C.A. (2010) New Flora of the British Isles (3rd edition). Cambridge: Cambridge University Press.